A young Frenchman of nineteen traveling across the sea to help a struggling nation fight for its independence? Why not? To Lafayette, anything was possible. 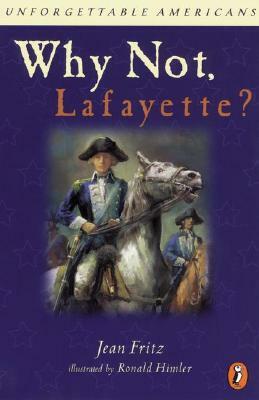 A man who threw off the boundaries imposed on him to stand up for what he believed, the Marquis de Lafayette grew from an idealistic young man searching for honor and glory, into an idealistic statesman with rock-solid principles of liberty. Here, Jean Fritz brings to life the exciting story of the brave and appealing man known as "The Hero of the New World." Jean Fritz, the Newbery Honor-winning author of Homesick, is best known for her engaging and enlightening nonfiction for young readers, including What's the Big Idea, Ben Franklin?, And Then What Happened, Paul Revere?, and Shh! We're Writing the Constitution. She was honored with the Knickerbocker Award for Juvenile Literature by the New York State Library Association, and won the Laura Ingalls Wilder Award for her career contribution to American children's literature.